The Runaway Helpline is confidential. This means that whatever you speak to us about stays between you and us. We don’t share what you tell us with anyone else, except if we believe that you, or someone else, is at immediate risk of serious harm, and we have enough information to get help. So what does that mean? What information will you know about me if I contact you? We believe that you have a right to anonymity – our helpline doesn’t show your phone number, email address or IP address when you contact us. We don’t know who you are or where you are unless you tell us. We won’t expect you to tell us anything personal and you are in control of how much you’d like us to know about you and what you’re experiencing. Do I have to tell you things about myself? No, you can tell us as much or as little about yourself and what’s going on as you’d like to, it’s your call. We’d like you to trust us enough to talk to us. We won’t judge you – we will listen and offer support so that you can make the right choices for you. For some of the services we offer, we would need some information about you. 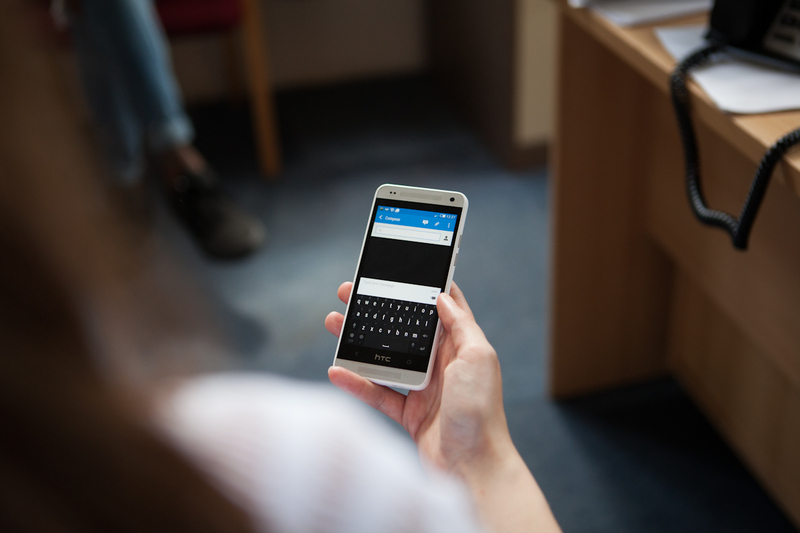 Something we can offer is passing a message to someone for you whilst you’re away from home, or connecting you on a 3-way call, this is completely your decision. When we do this, we will need some personal details from you, such as your full name, date of birth, location or phone number. What details we would need may vary depending on what action you’d like us to take for you, but we can always explain to you why we would need them. Will you ever tell anyone what I’ve told you? Mostly, we will never tell anyone outside of the Runaway Helpline anything that you’ve told us. The only exception to this is if you tell us that you or someone else is at immediate risk of serious harm, and we have enough information to get help to you/them. For example, if you tell us that you’re at home and someone’s coming back soon who will badly hurt you, then you are at immediate risk of serious harm. If you told us your address, then it would be our responsibility to pass that information on to the police so that they could help you. However, if you hadn’t told us where you are, then we wouldn’t be able to do this. If we do need to get help to you, then we would talk to you about this and explain why we’re worried and what help we think you need. We can work with you to get help, for example connecting you on a 3-way call to emergency services. If you didn’t want help but you were at immediate risk of serious harm and we had enough information to get help to you then it would be our responsibility to get help to you anyway. It is rare that we need to get help to someone against their wishes, but it is our responsibility to safeguard our callers. What do you do with information I give you? When you contact the Runaway Helpline you can tell us as much or as little about yourself and what’s going on as you’d like to, it’s your call. We don’t know who you are or where you are and you’re in control of what you tell us. What you say is confidential and stays between you and us. We would only share what you’ve told us with someone else if you tell us that you, or someone else, is at immediate risk of serious harm, and we have enough information to get help to you/them. Any details you give us are stored securely and held so we can see how we helped you last time. We’re here to support you whether you’re away from home, thinking of leaving or have been away and come back. Whatever you’re experiencing, we’d like you to trust us enough to talk to us. Whatever you tell us, we’ll listen and offer support; we won’t judge you or tell you what to do. Please remember that our confidentiality applies to calls, emails, texts and chats. If you have any worries about confidentiality, just ask us at the beginning of your contact with us. Remember our service is free. You can contact us at any time night or day and we’re confidential. Due to limited resources we are only able to respond to chat, emails and SMS received in English. However, if you can contact us by phone on 116000 we have the facility to offer support in other languages via a confidential third party organisation. If we do know who you are – because you’ve told us – and we think you or someone else is at risk of serious harm – for example, if you tell us that you might kill yourself – or we know you are in danger, then we would have to consider telling emergency services they who could help you to be safe. We will always try to talk to you about why we want to do this because you have a right to know if we are thinking about taking any action which will affect you. We might have to make a special request to our communications providers to find out about where you are. If you have any worries about confidentiality, just ask us at the beginning of your contact with us. Please remember that our confidentiality applies to calls, emails, texts and chats.